September 9, 2016 – Honda Cars Philippines, Inc. (HCPI), Honda’s automobile business unit in the Philippines opens its 34th dealership in Manila Bay area under the Business group of AC Industrial Technology Holdings, Inc. Honda Cars Manila Bay (HCMB) is located at the Bradco Ave., Aseana Business Estate Park, Paranaque City with a 3,000 sqm lot size having a 754 sqm showroom that has a modern and up to date facilities and design with a two-story structure for the showroom that will have the most number of display vehicles to be maximized with 22 cars. This is for HCMB to showcase more variants of each Honda vehicle line-up for the customers. HCMB will also open its Service facility with the most advanced equipments and quality service to cater Honda customers. HCMB will continuously provide excellent Sales and Service to meet customer satisfaction in line with HCPI’s commitment in producing and delivering innovative products that meets every Filipinos’ driving needs. And with this partnership between HCPI and AC Industrial Technology Holdings, Inc., the dedication will be experienced in the newly opened HCMB dealership. 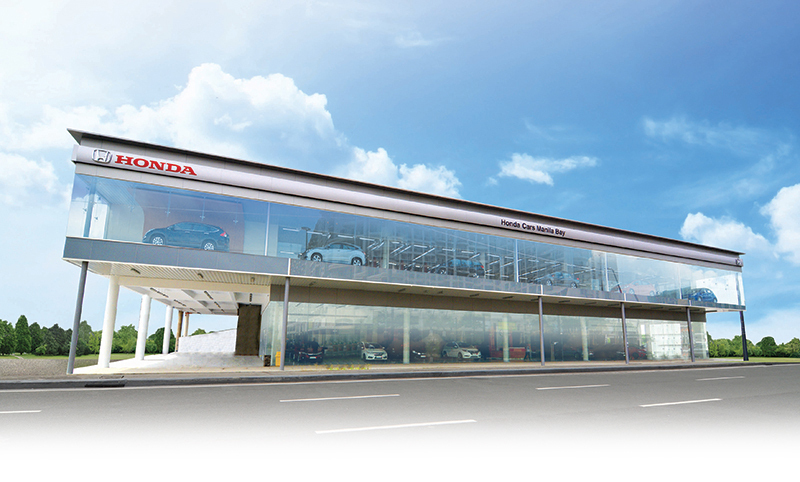 Visit Honda Cars Manila Bay and see the line-up of Honda vehicles displayed in the showroom. Open every Monday to Sunday, 8:00 AM to 7:00 PM for Sales and 7:00 AM – 7:00 PM for Service.